A well-known Twitter user and leakster LlabTooFeR reported that the HTC Ocean Life is going to arrive as a part of the Android One program. Another leakster, Evan Blass confirmed the report and added an image of the alleged phone and the name HTC U11 Life. The U11 Life would lose most of the HTC apps and arrive with stock Android O labeled Sense 9.0_A1. 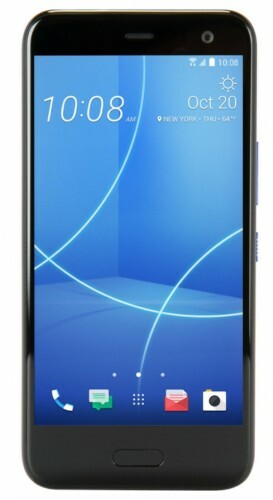 The image shows the front of a device that looks a lot like the U11, although with much thicker bezels. Features that might carry over include EdgeSense, USonic, Zoe and HTC Camera. HTC Ocean_Life will be released under Android One program. It will lose most of the HTC apps and run stock Android O with Sense 9.0_A1. The image of the U11 Life reveals a pretty straightforward design with the volume rocker and power buttons on the right side and fingerprint scanner below the screen. the ugliest phone in the year. HTC what have u done.... i'm used to be your fans.. but you keep doing this kind of things to hurt us... OH MY EYES... its burn... look at that huge bezel and chin. HTC are u still living in year 2007?